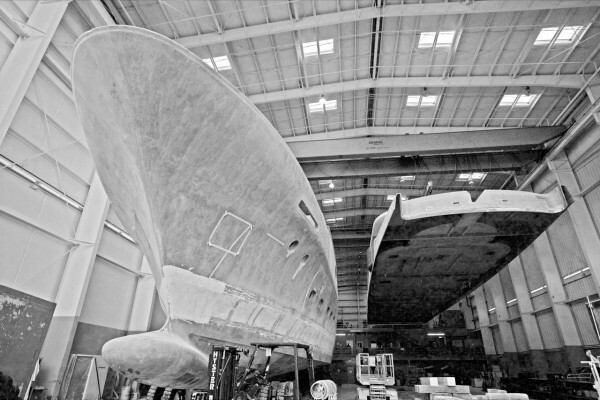 Christensen Shipyards has announced the first piece of American superyacht activity in 2017 with the joining of the hull and superstructure of its new 50m project. Despite previously going into remission, Christensen has rebounded as one of the stronger 14 active shipyards in the US with two 50m superyachts in build, one of which (Hull 42) is scheduled for delivery this year. 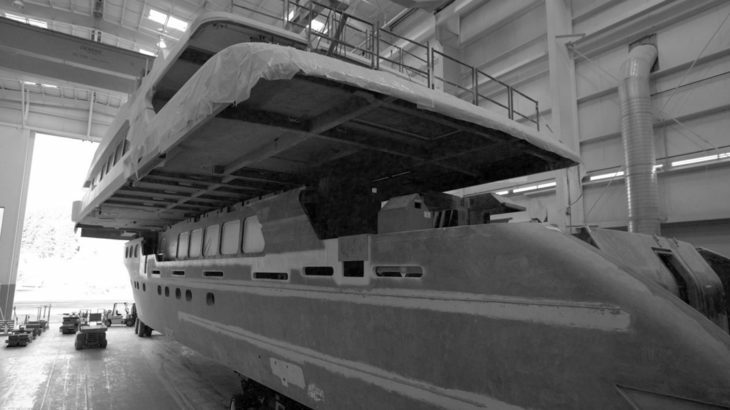 Described by the shipyard as ‘the newest Christensen milestone’, the 50m, known simply as Hull 38, marks the yacht’s transition into the next stage of construction, whilst freeing up a 50m production bay that could house an additional project. Interior outfitting is also well underway, according to the shipyard, her interior bulkheads and walls have also been completed. Besides the customary Christensen cabinetry, stainless steel and stonework, Hull 38 features many advances from the shipyard’s previous projects, including noise and vibration control, added insulation and power consumption. Little details are known on the yachts interior, which has been styled by US-based studio Varo Designs, however, we do know that the yacht is finished in high gloss black walnut. The shipyard’s staging room is now full of finished woodwork, which is ready to be installed once the plumbing and wiring is complete in time for the yacht’s launch next summer. The American superyacht market has performed consistently over the past five years, despite Christensen’s exit and re-entry in to the market place. With 21 yachts currently under construction, the US holds a seven per cent share of the Global Order Book. 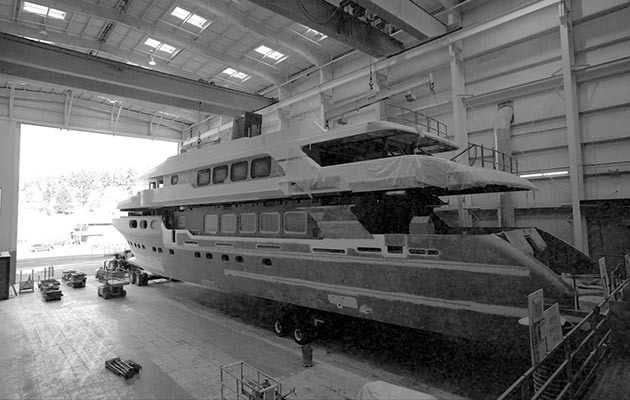 The yacht’s current construction phase will continue on to next year, when the yacht is scheduled for launch and delivery.